Biography of Captain Brian O’Sullivan. 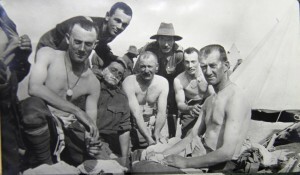 The Gold Museum holds a precious collection of World War One photographs belonging to Australian soldier, Captain Brian O’Sullivan. Many of these photographs were taken by Captain O’Sullivan, while others were collected during his time overseas serving the 5th Battalion. Captain O’Sullivan was born in Richmond, Melbourne in 1895 to parents Dr. Edward Francis O’Sullivan and Fannie Elizabeth O’Sullivan. His father pursued a career as a medical practitioner and his son would soon follow in his footsteps. After enrolling in medicine at Melbourne University in 1913, Captain O’Sullivan deferred his study when war broke out in 1914. 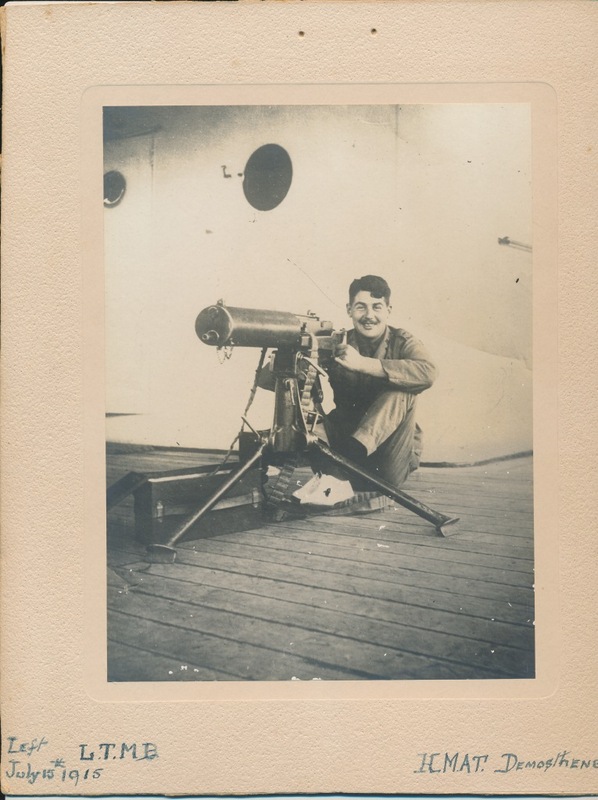 Captain O’Sullivan landed in Gallipoli in 1915 where he became a Lieutenant in the 5th Battalion, instructing soldiers on the use of trench mortar. In 1916, he was promoted to Captain and was present during the battles of Pozieres, Mouquet Farm, Corcolette and Flers. 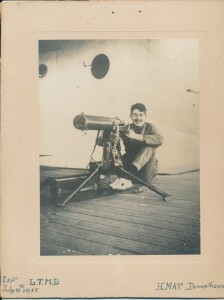 During his time in the military, Captain O’Sullivan frequently wrote letters home accompanied by albums of photographs. Captain O’Sullivan travelled to various locations such as Egypt, Ireland and England and was enamoured by the sights he saw as depicted in his photographs. Home was never far from Captain O’Sullivan’s mind. While based in Egypt, he wrote: ‘it was trying not hearing from home during my long stay’. Whilst in Egypt, the soldiers visited the iconic Pyramids and the Sphinx, and socialised with civilians and children in the area. Captain O’Sullivan’s collection provides an intimate insight into a soldier’s journey rarely seen by the public. His photographs reveal soldiers’ downtime as they travelled towards the frontlines. 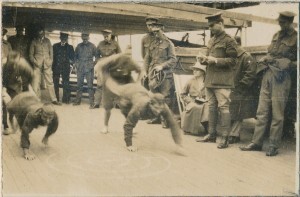 The men kept themselves occupied with games such as wheelbarrow races and pillow fights. Captain O’Sullivan also worked as a medical officer. His letters reveal his daily routine: ‘Coffee and breakfast at 7:45, I have to inspect all isolation men (measles and mumps contacts) and then I can clean myself till 9 o clock’. Captain O’Sullivan valued his education and returned to Australia in 1917 to complete his medical degree. Soon after graduation the call for war beckoned once more and Captain O’Sullivan rejoined the 5th Battalion. Although surrounded by horror and tragedy, Captain O’Sullivan still found time to write of the beauty found in the landscape. In a letter to his parents (possibly from Turkey), Captain O’Sullivan wrote ‘the country round here is very pretty in a tamed sort of way and the wild poppies and daisies make a rather pretty break in the greenery of everything’. However tragedy struck when Captain O’Sullivan was wounded at the Hindenburg Line at the Sommes by mortar fire whilst he was instructing new recruits. He passed away from his injuries aged just 23. Captain O’Sullivan is buried at Daours Communal Cemetery Extension in France. By taking these photographs, Captain O’Sullivan has saved these memories of World War One for future generations. Through the eyes of one soldier, we are shown the true images of the highs and lows eclipsing a soldier’s life from beginning to end. Captain O’Sullivan’s collection appears in the exhibition A Soldier’s View, on display at the Gold Museum from May 16 to September 18, 2016.